Save 57% for a limited time! Head to Amazon to get this Kepeak Projector Flashlight for only $9.99, regularly $22.99. 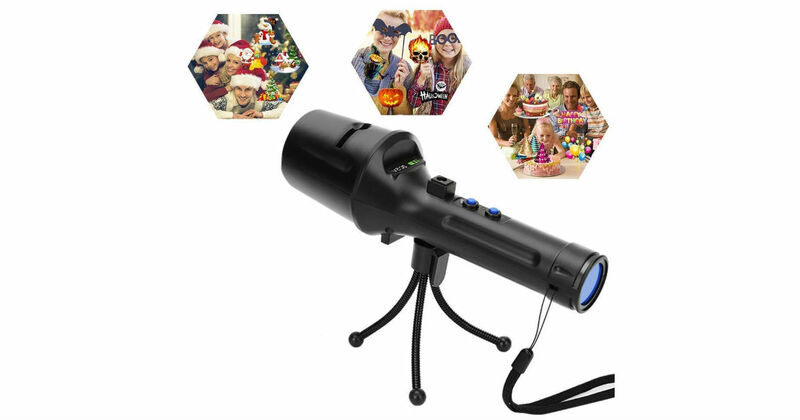 The LED projector flashlight has 7 switchable and exclusive color images that can be switched to whatever image you like with cards and never fade.The patterns include Christmas trees, snowflakes, Halloween ghosts, Easter eggs, birthday cakes and more!